Do you want to retire in Maine? Below are our recommendations for the best places to retire in Maine. Click on the destination links to find area description and characteristics, area amenities and things to do, climate and weather, housing options, cost of living, senior assistance, area demographics and job & volunteer opportunities. Was this information helpful? Share with your friends! Mid-Maine Region, Maine - Mid-Maine is centrally located about 20 minutes from the state capital of Augusta and about an hour north of Maine’s largest city, Portland. Maine’s picturesque mountains and coastline are only a short drive away. Of course, there are lots of wonderful recreational opportunities right here amongst mid-Maine’s small towns, quaint villages and our stunning lakes and rivers. 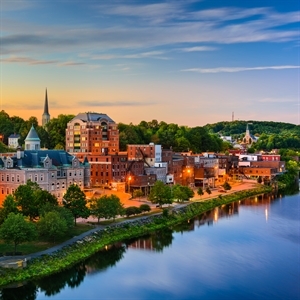 Kennebec Valley Area, Maine - The Kennebec Valley spans 23 communities from Maine’s capital city, Augusta, to Gardiner to Windsor to Monmouth to Readfield and everywhere in between. An original 1629 Pilgrim settlement, Augusta is both the capital city of the Pine Tree State and the service center of a Micropolitan with 75,000 residents. 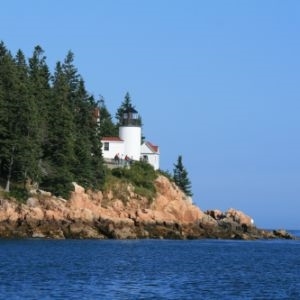 Southern Midcoast Maine, Maine - Southern Midcoast Maine has miles of pristine coastline, sandy beaches, ocean vistas, historic lighthouses and fresh lobster. Vibrant downtowns provide endless choices for shopping, dining, lodging, recreation and entertainment. The region offers the ideal environment to create the lifestyle you want...at any phase of your life. 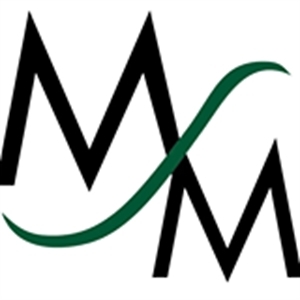 Scarborough, Maine - Scarborough is Maine’s 10th largest municipality and one of the fastest growing areas in Maine, and the Scarborough Community Chamber of Commerce is pleased to support this growth. Part of the dynamic Greater Portland metro area, the Town of Scarborough is known for its quality of place to live, work, do business, vacation and play with a robust but tranquil lifestyle. 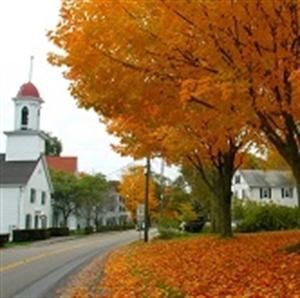 Kennebunk, Kennebunkport and Arundel - the Kennebunks, Maine - http://gokennebunks.com/pages/visiting/experience-the-kennebunks-guide Though Kennebunkport is frequently on the news as the the home of George H.W. Bush, New Englanders have enjoyed this quiet coastal Maine community - made up of Kennebunk, Kennebunkport and Arundel - for years. Madawaska, Maine - Madawaska, Maine is located half a mile from the city of Edmundston Canada . Madawaska is also the home for the Acadian Festival each year. It also has the only park in the world dedicated to long distance motorcycle riders, a fantastic tourist attraction. 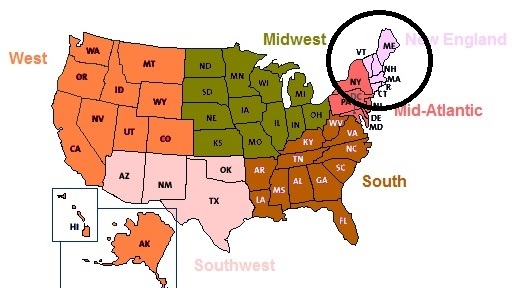 The Park also has a Tour called the "Maine Four Corners EXPERIENCE Tour, which takes you to the four corners of the, great State of Maine. Sebasticook Valley, Maine - Sebasticook Valley is a centrally located region with easy access to Interstate 95 North & South, and Rt. 7 which takes you to the coast, or northern mountains. Our region is diverse with recreation, education, and real estate. Acadia's Quietside, Maine - Mount Desert Island is roughly circular with a fjord, Somes Sound, through its center that nearly cuts it in two. Acadia National Park covers just over half of MDI, about a third of the park is west of the Sound. Tremont and Southwest Harbor are the principal towns on the west side of MDI.